WINNIPEG, Dec. 13, 2018 /CNW/ – Artis Real Estate Investment Trust (TSX: AX.UN) (“Artis” or the “REIT”) announced today that it has received approval from the Toronto Stock Exchange (“TSX”) to renew its normal course issuer bid (the “Bid”) for a further year. In cases where 25% of the average daily trading volume is less than 1,000, the daily purchase limit becomes 1,000. Artis is pursuing the normal course issuer bid because it believes that, from time to time, the market price of its Units and Preferred Units may not fully reflect the underlying value of its business and its future business prospects. 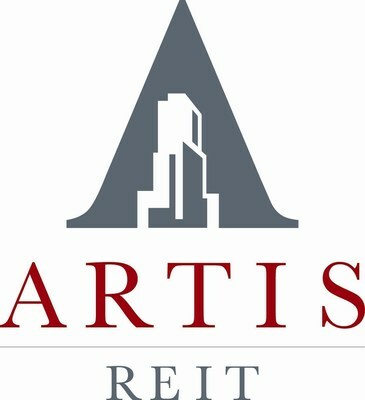 The REIT believes that, in such circumstances, the outstanding Units and Preferred Units represent an attractive investment for Artis. Pursuant to the REIT’s current normal course issuer bid that expires on December 16, 2018, Artis previously sought and received approval from the TSX to purchase up to 13,314,337 Units. During the past 12 completed calendar months, Artis acquired 2,034,970 Units through the normal course issuer bid at a weighted-average price of $10.0641. As at December 5, 2018, there were 151,903,007 Units, 3,450,000 Series A Preferred Units, 4,000,000 Series E Preferred Units, 3,200,000 Series G Preferred Units and 5,000,000 Series I Preferred Units issued and outstanding. On or about January 15, 2019, Artis will implement an automatic purchase plan agreement (“APP”) with a broker to allow for the purchase of its Units and Preferred Units under the Bid at times when Artis ordinarily would not be active in the market due to self-imposed trading blackout periods. Before entering into a blackout period, Artis may, but will not be required to, instruct the designated broker to make purchases under the Bid in accordance with the terms of the APP. Such purchases will be determined by the broker in its sole discretion based on parameters established by Artis prior to the blackout period in accordance with TSX rules, applicable securities laws and the terms of the APP. The terms of the APP will be pre-cleared by the TSX before execution. Outside of these pre-determined blackout periods, Units and Preferred Units will be purchased based on management’s discretion, in compliance with TSX rules and applicable securities laws.